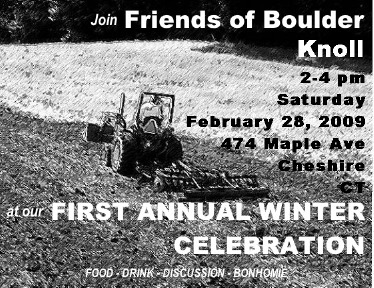 Join Friends of Boulder Knoll at our First Annual Winter Celebration! Saturday, February 28, 2009 from 2:00 p.m. – 4:00 p.m. Note that parking is at Atwater Place directly across from 474 Maple Ave.